Aspire Ventures is taking on the world of professional sports with our AI-powered healthcare technology platform Connexion. With our partner Fusionetics, we introduced our platform to athletes at the NBA Summer League in Vegas, and previously to attendees of the NBA Combine in Chicago. Now, the Connexion is stirring up lots of excitement in conversations about what this means for professional teams everywhere. Connexion uses a multitude of powerful sensors that can be harnessed for a host of new health applications--a technology that some are calling the “iPhone of Health Care”. However, the first application, powered by Fusionetics’ movement efficiency technology, primarily attracts members of the sports industry. So far, we’ve gained interest from trainers, athletics directors, doctors, and high-profile athletes from NBA teams all over the country, and garnered international interest from athletic executives abroad. Overall, the feedback we received from our Summer League appearance was immensely positive. A handful of teams and coaches spent hours with our team and engaging with the Connexion, asking questions about how the technology works, and how they could incorporate it into their own training programs. 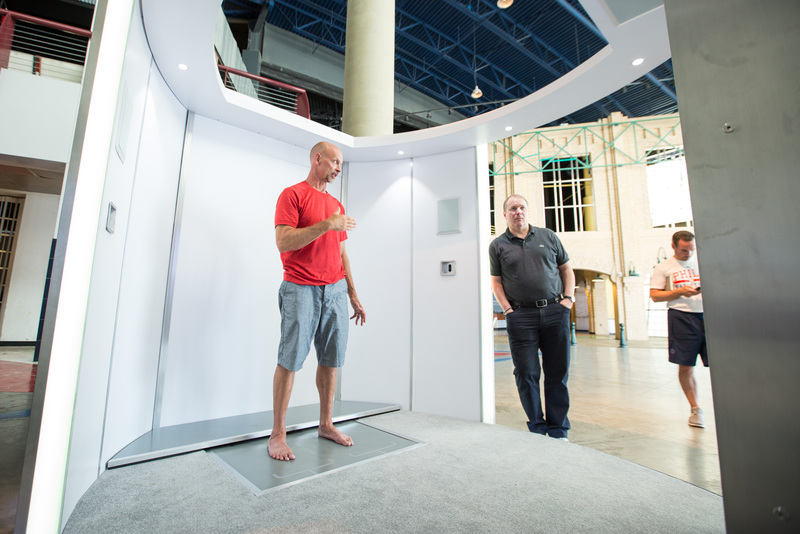 We’ve learned a great deal in the short time since our debut at the NBA Combine in May, like how important it is to have a rapid prototype to gain valuable feedback from customers. By showing an early prototype in Chicago, we were able to incorporate invaluable feedback in our second iteration in time for our showing in Las Vegas. We also learned that there is a plenty of interest in our technology. We continued to improve the clinical accuracy of the platform for Vegas, further personalizing the experience for each user. Now equipped with faster, more accurate technology, potential customers are already seeing value in a product that gives actionable data at the convenience of the user. Trainers, doctors, and team executives understand the potential for such a technology. With further development we will be able to read hydration levels, recognize fingerprints, and test jumping abilities using force plate sensors. And with facial recognition and other sensor memory functions, regular users can continuously monitor their health and check their progress throughout routine training. Ultimately, we are working to create functionality in Connexion that benefits everyone, not just professional athletes. The world of sports science is just the tip of the iceberg, as we envision wide-reaching healthcare applications for our advanced sensor fusion technology. Large companies could use the Connexion to evaluate workers’ comp, dermatologists could use the multitude of sensors to detect cancerous skin lesions, and doctors could have a noninvasive way of taking vital signs. The traction we’ve established in the sports world is just the beginning. A platform with so many potential benefits doesn’t just have potential to transform performance health, it could dramatically change the way we manage our health in our day-to-day lives.